A really simple cake, if you think about it. Or, perhaps, it’s simple only if you don’t think about it too much. 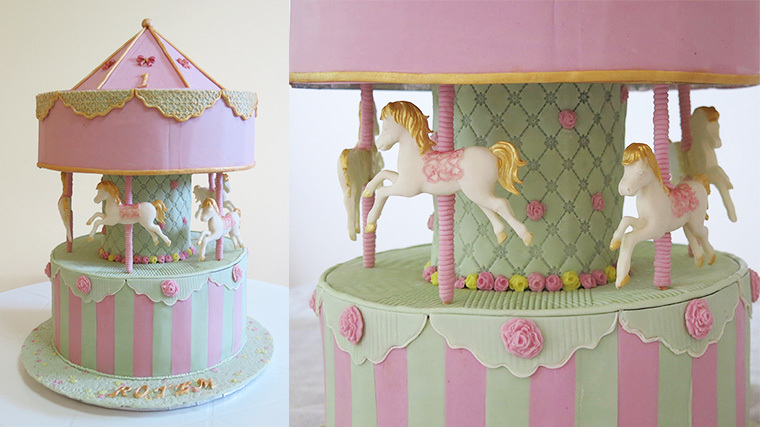 My carousel cake is basically one four inch high round with a smaller but taller cake that serves as the center pole. The dome was cut to shape mostly out of the corrugated sides of a couple of supermarket boxes. The only other major items are the poles and the horses, and yes, I know that mine are facing the wrong way. I could make the excuse that in Hebrew we read from right to left, but in fact I just didn’t pay attention when purchasing the mold. 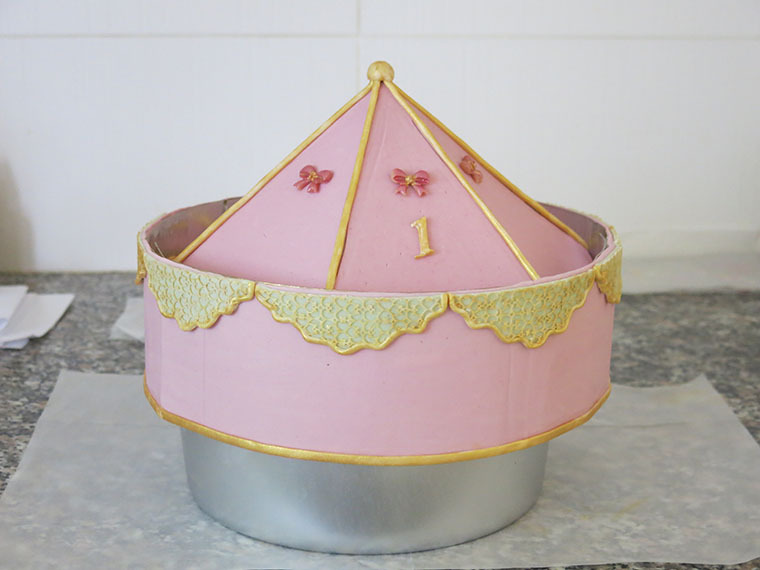 A year ago I decided that “The “Carousel”, or “The “Merry-Go-Round”, as we Americans call it, would be my very sweet granddaughter’s first birthday cake. At the time I had no idea if it would just be one round or several graduated rounds, if it would have four horses or perhaps six, or even if the center pole would be made of cake, plastic or carton. I certainly had no inkling of how I would construct the dome. In an internet search I discovered that some folks created domes out of cereal treats, some used sculpted cake or various configurations of carton and still others sufficed with ready made plastics that were sometimes covered in fondant. 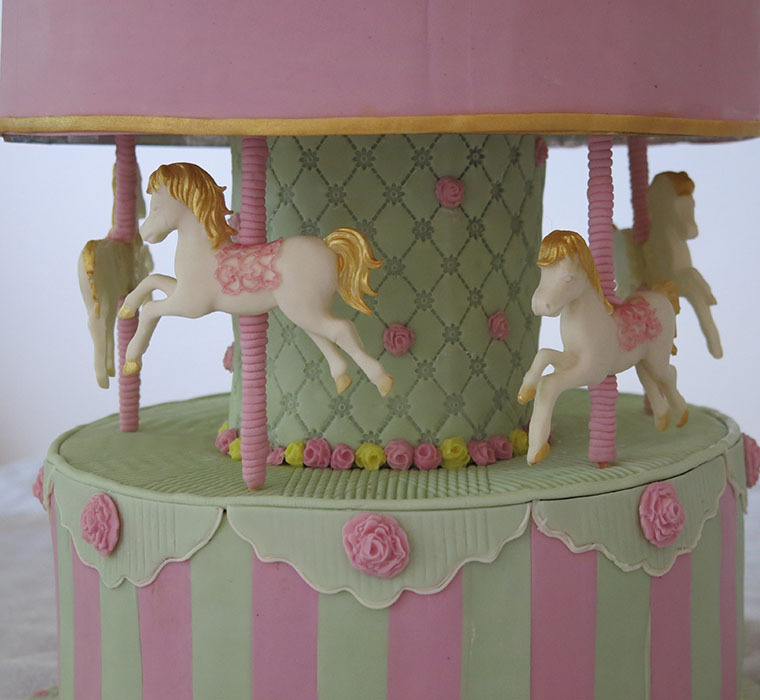 I must have viewed dozens of carousel cakes over the past year, each with its own individual color scheme, motif decorations, style of horse, and of course size. There were tons of decisions to be made since I didn’t follow any one design and didn’t have a tutorial to guide me with the specifics. 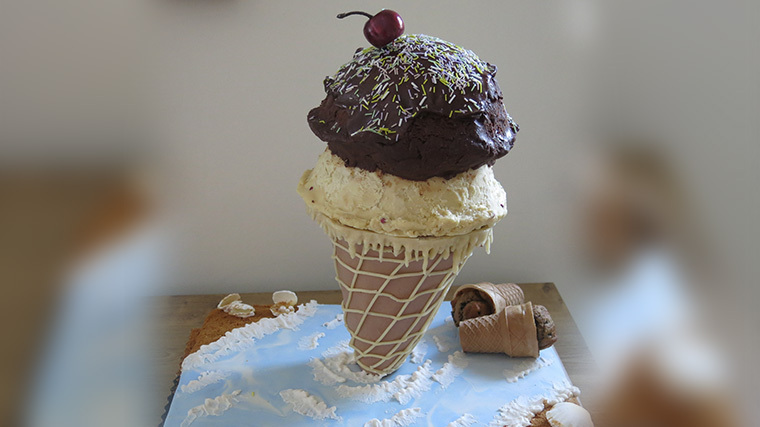 For example, what size pole would balance well both aesthetically and physically against the base cake and how many horses could reasonably be placed around the pole? My guidelines were to make a cake that would generously feed at least sixteen people. The cake flavors would be chocolate plus something in the berry family, simply because I was bored with chocolate alone. I was told to use a minimum amount of butter cream so the filling would have to be mostly a jam of one kind or another. The outer covering would be a dark chocolate ganache primarily because it goes well with chocolate cake and hopefully would hold up well on a warm spring day with all the travelling that this cake would have to withstand. 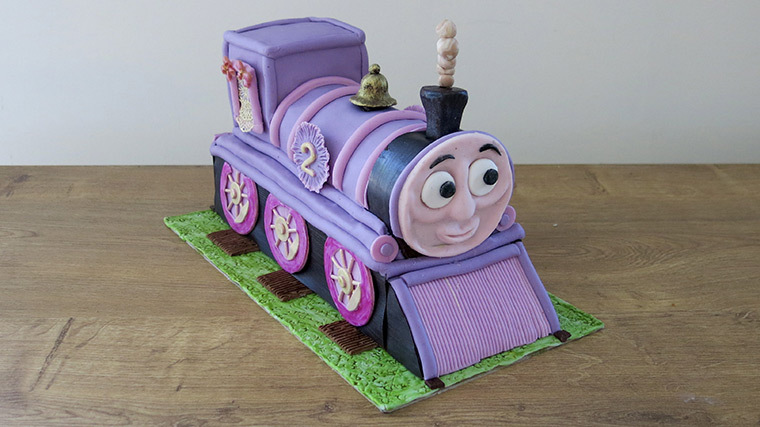 The cake was meant to be child-friendly so it was important to use only natural colors on the parts that would be consumed. I also reluctantly conceded to using a mold for the horses, for while I was sure that I could reasonably make one following Chef Yeners’ horse tutorial, the chances of me producing ten or even five without a nervous breakdown were nil. Perhaps the next time. My first decision was to use a nine inch pan for the base cake purely because that was the largest round pan that I had and most of the serving size tables seemed to agree that a nine inch cake would feed sixteen people. I chose a cake height of four inches reasoning that it would feed more than a three inch high cake. The central pole was a bit more challenging. I had planned to use a three inch cake ring to cut out circles of cake and then to stack them, but I was really concerned about the tower being too skinny and not stable enough. So, I ended up baking mini cakes in the four inch bases that my ball pans are supposed to sit in. That worked well enough and I certainly used sufficient ganache to make sure that the layers would stay well positioned. But how high to stack them??? Four inches? Five inches? I needed ample pole height so that the horses would be completely in view under the dome, but at the same time, the pole needed to be as short as possible since transportation was going to be a very major issue. I went with just under five inches and hoped that in the end the various heights would compliment each other adequately enough. I opted to make the dome out of cardboard combined with shiny gold finished cake circles because, 1- we didn’t need any more cake, 2- I wanted the top to be as light as possible, and 3- rice krispy treats, the other light weight alternative, is made with marshmallows something avoided by the vegetarians in our family. 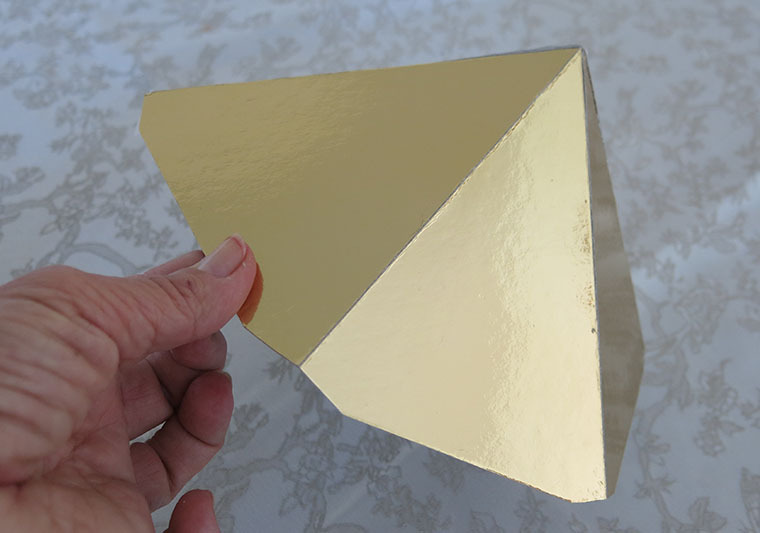 In retrospect, I think that it probably would have been a lot easier to just use a short round of cake having only the pyramid shaped section fashioned out of carton. 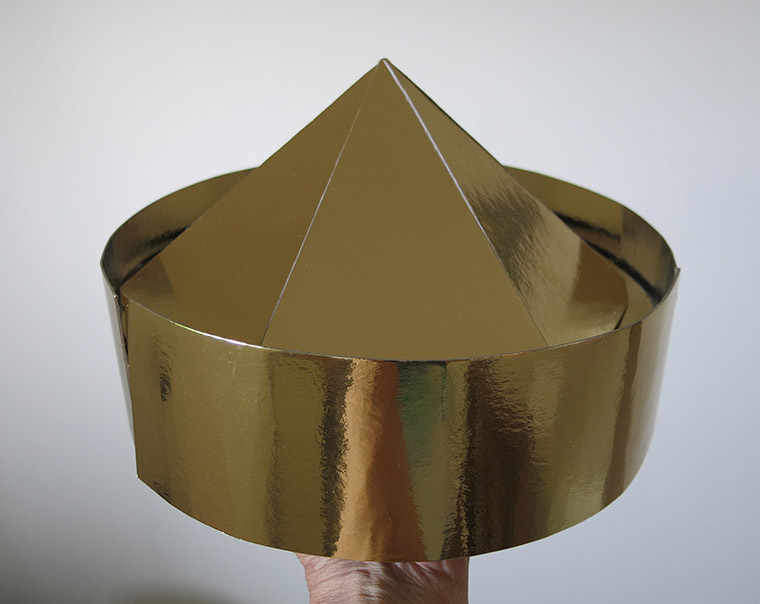 I bought the largest cake circle that I could find (13 inches), folded it, trimmed it and taped it until I ended up with a six sided pointy witch’s hat. The plan was to sit that on top of the corrugated rounds that were cut out of boxes and glued together. 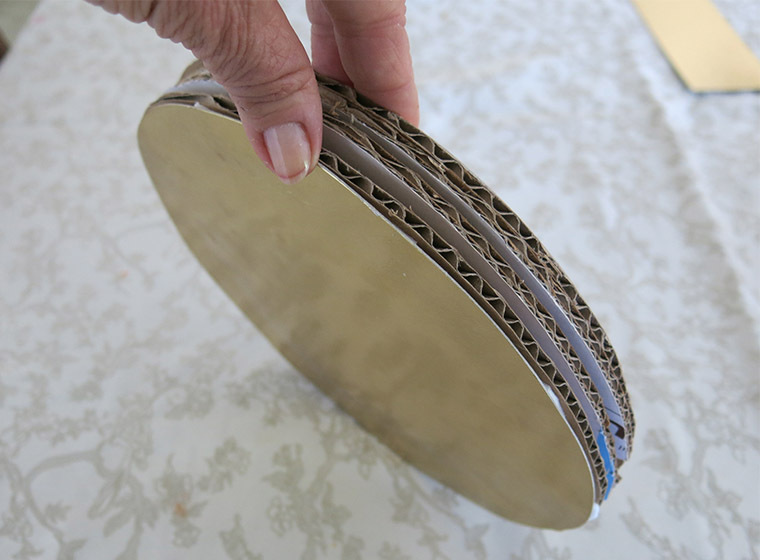 Elongated “cake circles” covered up the sides. All that was eventually covered in a fondant / modeling chocolate combination, using TruColor natural color even on those non edible sections in an effort to maintain the same soft shade of pink that would be used elsewhere. This didn’t of course go as smoothly as it sounds. 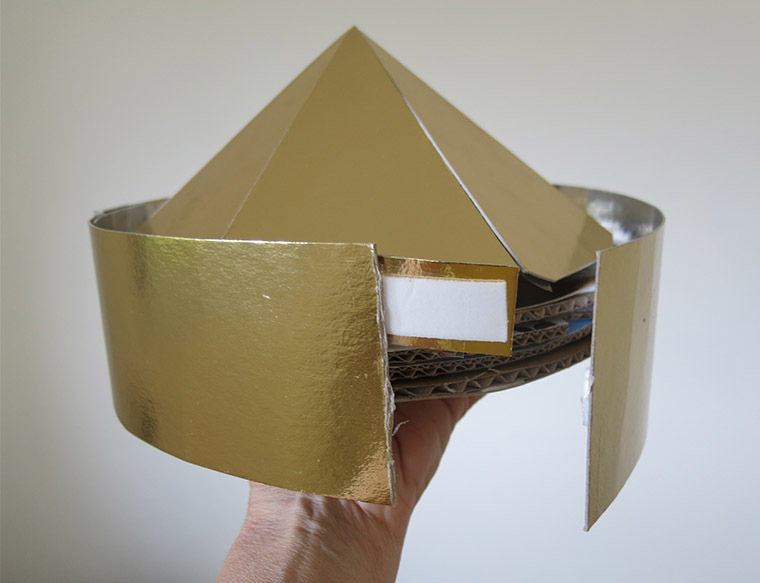 As you can see from the photo below, keeping the sides of the dome securely in place was a bit of a challenge, but nothing that a little super glue couldn’t handle. Once overcoming the more technical details, I was able to concentrate on the more enjoyable parts of decorating the board and using homemade edible lace for the saddles and for portions of the trim on the dome. There still remained the dilemma of whether or not to do a striped design, and if so, which colors and widths to choose. How to texture the center pole and the floor of the carousel, as well as how high to cut the skewers for the horse poles were also questions that still had to be dealt with. 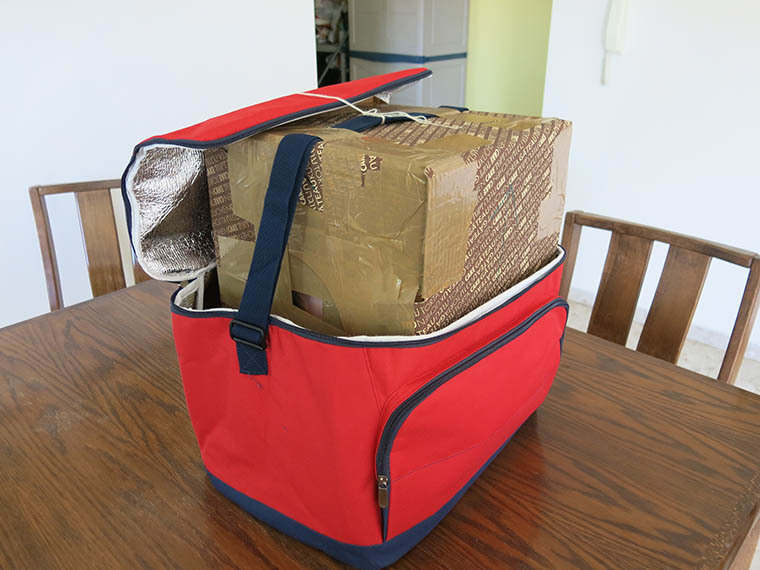 Eventually all the decisions were made, the cake was put together, packed up securely, and successfully made the two and a half hour bus trip to its destination. 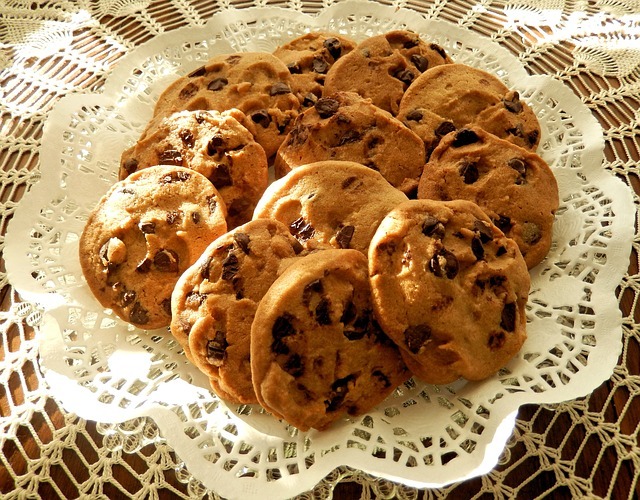 Once there, it was placed on a large wooden “Lazy Susan”. The highlight for me, of course, was spinning the carousel at my granddaughter’s request, and watching her smile as the horses galloped merrily around and around and around.